Author: Wynne-Jones, Tim Set In . . .
Why does everyone seem so scared? That's what the new boy in town, Rex Norton-Norton, aka Rex Zero, wonders as he rides his bike through Ottawa's streets. Is it spies? Kidnappers? Or is it because of the shadowy creature some say is stalking Adams Park? One thing is certain in this summer of 1962 as the Cold War heats up: nothing is quite what it seems. What's a boy to do? 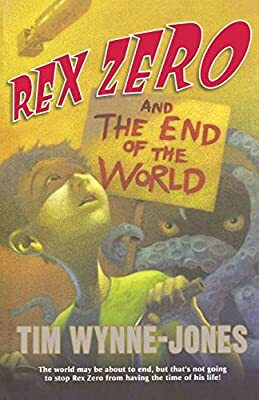 If his name is Rex Zero and he has a bike he calls "Diablo," five wild and funny siblings, an alpha dog named Kincho, a basement bomb shelter built of old Punch magazines, and a mind that turns everything inside out, he's bound to come up with an amazing idea. With its mystery, adventure, laugh-out-loud scenes of family chaos, and underlying message of hope, this wonderfully original novel from Tim Wynne-Jones explores the impact of doomsday on the imagination of one smart and funny twelve-year-old boy.